There is a surprising amount of lore associated with cooking dried beans—or perhaps it's not so surprising. 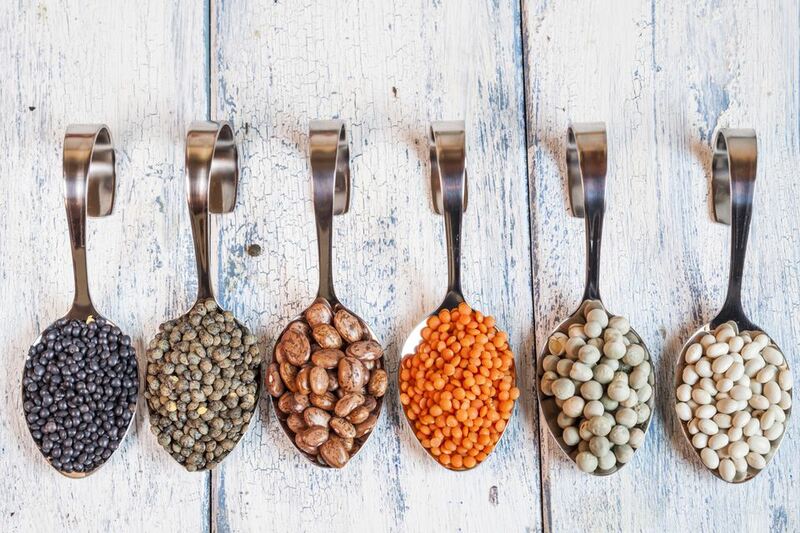 Beans are, after all, a great source of protein, carbs, and other nutrients, and, once dried, have a long shelf life. They're also relatively easy to grow, and because of their ability to bind nitrogen to the soil, they leave the ground in which they're grown in better shape for other crops. All of these factors combined have made them a cherished food source for thousands of years. But with their popularity, there have also been questionable "facts" that have developed over time. Here, we will debunk those myths, as well as provide some useful cooking tips for dried beans. You've all heard the rhyme "Beans, beans, they're good for your heart; the more you eat the more you...." And, yes, beans can indeed cause flatulence, otherwise known as gas. Beans contain some carbohydrates that our stomachs can't digest so they pass on through to our gut where bacteria exist that can digest them—and may produce gas in the process. However, the amount of gas produced depends on your intestinal health, the particular bacteria in your intestine, and the beans and their preparation. For some people, most beans have little effect on their digestive system, while others greatly feel the effects. The idea behind soaking beans in water (that is then discarded) is based on the belief that soaking will eliminate the gas-causing oligosaccharides. This is true, to some degree, but research shows it only reduces the oligosaccharides by around 25 percent. In addition, the cement that holds a bean's cell walls together also produce gas and aren't reduced by soaking. So soaking beans to eliminate gas is only slightly effective—and the beans lose water-soluble nutrients as well. If you prefer to keep the nutrients, then it is recommended that you take Beano if gas is a problem. Beano contains an enzyme that breaks down the offending carbohydrates. A genuine myth is that salt makes beans tough. It doesn't. Acid makes beans tough—and so does age. In general, if you cook up a batch of beans that end up being tough, the odds are they're old and/or have been exposed to air. You may have just purchased them at the supermarket, but that doesn't mean they were picked within the past year. They could easily be 10 years old because dried beans can keep a long time with no effect, beyond getting harder and harder. However, an acid in the form of vinegar, tomatoes, lemon juice, or something similar will make beans tough (small amounts of acid should not have much of an effect). The acid binds to the beans' seed coat and makes it more impervious to water, as well as making the coat harder. So, if you’re adding anything with acid to beans wait until the end of cooking time. Dump beans into a Dutch oven and add twice as much well-flavored and seasoned stock to the pot. Place on the stove and bring to a boil. Immediately reduce heat to a gentle simmer. Cook for 3 hours and top-off stock as needed to keep beans covered by 1/2 inch of liquid. Add other ingredients based on your recipe. The final cooking step should take place in a Dutch oven in the oven at 300 F. The beans and other ingredients will simmer surrounded by heat instead of cooking from the bottom up as they do on the stove-top. The final cooking will take another 3 hours. Make sure to check occasionally to ensure the beans aren't drying out. There are a few things you can keep in mind when cooking dried beans to assure a tender and flavorful outcome. As long as the beans are soaking up liquid while they rehydrate, why not have them soak up flavor too? Make a pot of stock and rehydrate beans in the stock, then finish cooking them in the stock. They may be the best beans you've ever eaten. If you always add salt to the water when you cook pasta, potatoes, and rice, why not salt the stock when cooking beans? The salt will seep into the beans, adding seasoning. And, remember, the salt will not make the beans tough. When cooking your beans, if you suspect the beans will be tough (maybe you don't know the freshness of them), add half a teaspoon of baking soda to the cooking liquid. This will help tenderize the beans.